The Greyhound Hotel - Hotel, Pub and Restaurant in Builth Wells, Powys. A warm and friendly welcome awaits you at The Greyhound Hotel in historic Builth Wells, Mid Wales. The Greyhound Hotel is a family-run business and a real focal point for the Builth Wells community. You can be sure of a genuinely warm welcome whether you come to stay in our 3 Star hotel or just join us for a relaxed drink in the oak-panelled bar or a hearty meal in our restaurant. 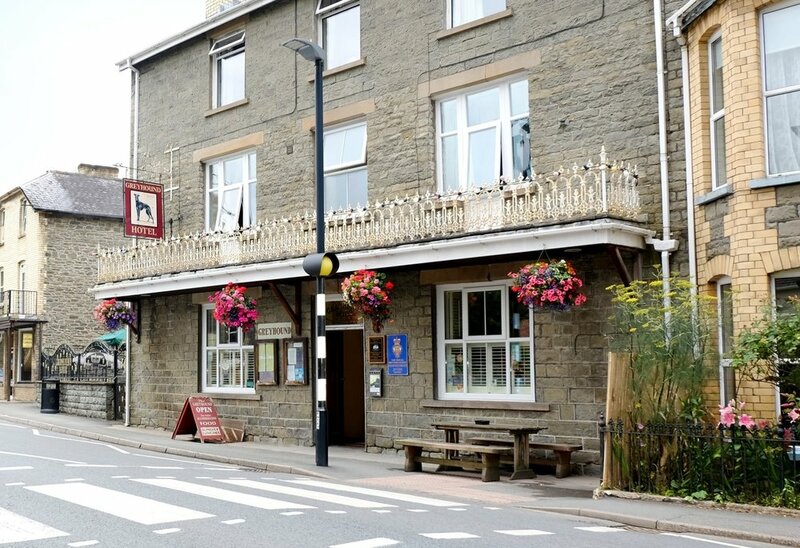 The Greyhound Hotel is situated near the centre of the historic market town of Builth Wells. Whether you are looking to cycle or hike in the Powys hills or take a stroll along the River Wye, our Mid Wales location is perfect for those looking for an adventure or a relaxing break. We source local ingredients where possible. We pride ourselves on our excellent and varied menu, and the quality of our ingredients and dishes. We source local ingredients where possible – our steaks are juicy Welsh 'Celtic Pride', our lamb chops are Welsh lamb, and our ham and sausages are all local too.